Successfully Added Android 4.4 TV Box ‘Q7 2GIG’ - Quad Core, 2GB RAM + 8G Memory, DLNA, 1080P, Wi-Fi Support to your Shopping Cart. 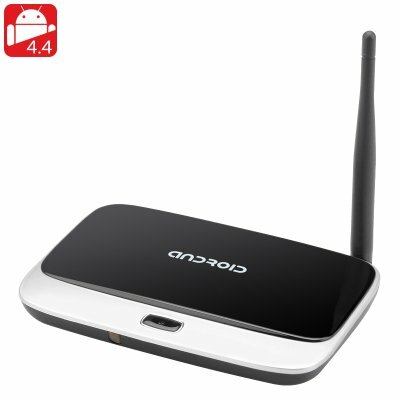 The ‘Q7 2GIG’ Android 4.4 TV Box comes with Quad Core CPU, 2GB of RAM, 1080P and Wi-Fi support. The 'Q7 2GIG' Android TV Box you will turn your TV into a premium entertainment center that will make your proud. Featuring 1080P support, the TV box will make sure all your HD media is played in all its glory. So whether you are planning a movie night or inviting your buddies over for Super Bowl, you will be enjoying fantastic detail, bright colors and theatre-like quality from the comfort of your home. This Fantastic Android TV Box comes with Wi-Fi support, making the installation process a piece of cake. With less wires or cables it doesn't need to be setup next to your router. This means you can place the TV box anywhere in the house, so your interior design will not be compromised in any way. A Quad Core CPU and 2GB of RAM make for a powerful combo when used with Android 4.4, giving you access to a variety of activities. Hit the Play Store for the latest games and enjoy setting new records on the big screen. Surf the web for news and social media updates and knock yourself out with comments after seeing your friends’ Facebook profile pictures on you TV. Stock up on popcorn and get all the family together for a night at the movies, without the drive or the expense. With the ‘Q7 2GIG’ Android 4.4 TV Box you can do all of that and more. 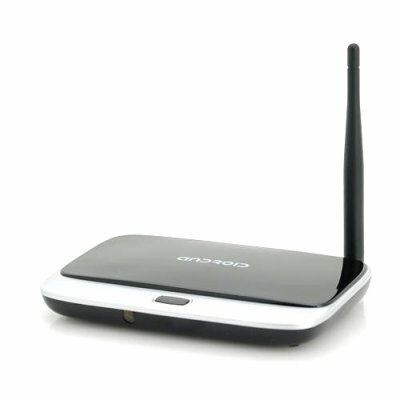 Featuring a great range of connectivity (HDMI, OTG and 2 USB ports), the ‘Q7 2GIG’ Android TV Box is a multi-functional device and can also double as a computer, just add a wireless keyboard and mouse set. Get a few office apps from the Play Store and there you are working on your presentation or finishing up a report for Monday from your favorite armchair. With all of that wonderful functionality at home, there is only one thing left to worry about, making yourself leave the house. This product is in stock now, we guarantee next working day shipping and offer a 12 months warranty on all our products. Brought to you by the leader in electronic devices as well as wholesale Android TV boxes, Chinavasion.